We need to schedule a Conference Call! Not to long ago that statement was only uttered in the CEO's office or in the board room. But now, thanks to the phenomenal drop in long distance calling costs, conference calling is affordable to almost any group or organization that wants to get together to discuss the important issues. While conference calling is now relatively inexpensive there is still a per minute per participant cost. Conference calling should only be used when the cost of the call would be cheaper than gathering all of the participants together on one room. For example if your entire group resides in the same city, why make a conference call when you could just schedule a meeting. If your group is spread Statewide, or has members in other States or Countries then conference calling is the way to go. Just think of the expense, time and hassles that can be avoided. Travel time, airfare, hotel bills, rental car fees and gas costs. Now, sometimes groups just have to meet face to face for important events and meetings. In these instances conference calls can be used as Gap Filler meetings to pass along important information and updates. Lets talk about some of the new applications that conference calling is now being used for. Family reunions are one of the most popular, especially for families with relatives spread all over the USA or the World. If you have an actual reunion there are always those who can not attend for one reason or another. So why not schedule a conference call. You can put the main phone, where all of the physical attendees are, on speaker phone and have all of the remote folks call in at a designated time. This would also be great over the holidays. Conference calling is now being used for all kinds of reunions such as College classes, military units or any circles of friends who are now separated geographically. Most conference call services available today offer two plans, flat rate and per minute. With flat rate the subscriber can schedule as many conferences as he or she wants and pay one monthly fee. With per minute plans all participants call a toll free number and the subscriber pays the per minute cost for each individual caller. There is no cost to the participants for either of these plans, only the actual subscriber receives a bill. For more formal or business conference calling most providers also offer operator assisted and operator attended conferences for an extra fee. There are several conference call providers that offer online sign-up and no monthly fee so you only pay when you actually use the service. Have fun and schedule a conference call today. Mike is an Independent Telecom Consultant. 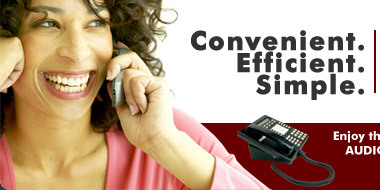 His website, PhoneCallWorld.com features several telecom and conference calling solutions.